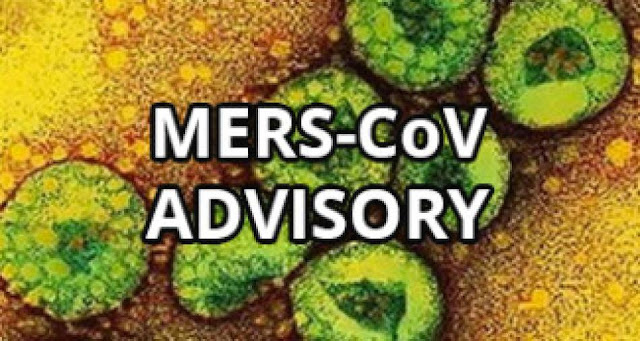 MANILA, Philippines - The Department of Health (DOH) on Saturday, October 3, 2015 confirmed the death of a Saudi national due to Middle East Respiratory Syndrome-Corona Virus (MERS-CoV). The 63-year-old male Saudi national died last September 29 according to Health Secretary Janette Garin in a press conference. This is the first death in the country caused by the deadly virus. Garin refused to name the victim. She also clarified that the 12 healthcare workers who took care of the Saudi national during his confinement at the Research Institute for Tropical Medicine (RITM) have undergone quarantine at the San Lazaro Hospital and have tested negative from MERS-CoV. The DOH said Task Force MERSCoV has started contact tracing of people who might have have been exposed to the foreigner during his travel in the country. Last February, a Filipina was tested positive for the virus in Saudi Arabia but was cleared of the fatal virus that same month. The earliest MERS-CoV was first reported in April 2012 in Saudi Arabia. It is not same virus that caused severe acute respiratory syndrome (SARS) in 2003. However, like the SARS virus, MERS-CoV is most similar to coronaviruses found in bats. Recent studies have shown that the MERS-CoV was detected in camels and one infected camel case had been linked to a human case. However the route of infection is still unknown. Twelve countries have now reported cases of human infection of MERS-CoV. Most of the cases are coming from the Middle East. WHO has not issued travel health warnings for any country related to MERSCoV. There are no specific treatments yet for illness caused by MERS-CoV. Medical care is supportive and to help relieve symptoms.